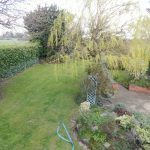 Chariot Estates are pleased to offer for sale this beautifully appointed four bedroom semi-detached character property which enjoys open views of the surrounding countryside. 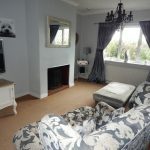 Filled with charm, original features and character throughout, standout features of the property include: spacious lounge, four double bedrooms, playroom/potential annexe bedroom with utility and guests w/c, lovely breakfast kitchen and a substantial private and secluded rear garden with open views of the countryside. 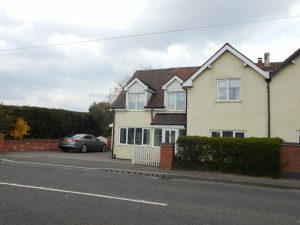 Situated within Burntwood close to the local amenities the property is just a short drive from Lichfield city centre with its diverse range of amenities including local shops, cafes, restaurants and the Garrick Theatre. Excellent commuter links are available with the A38, M6 toll road, A5, A452 and there are both Cross and Inter City railway lines available. 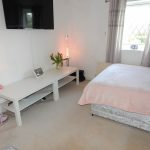 The property has two floors; on the ground floor: porch, reception hallway, lounge, breakfast kitchen, dining room, rear hallway, guest w/c, playroom/bedroom and utility. On the top floor: four double bedrooms and family bathroom. 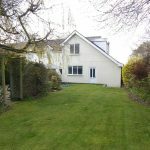 Externally the property offers: block paved drive with parking for several vehicles and rear gardens. 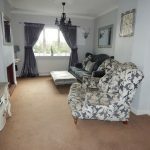 The property benefits from UPVC double glazing and central heating throughout. 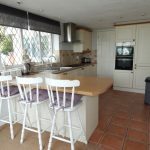 LARGE BREAKFAST KITCHEN: 9’1 x 20’0 (2.76m x 6.1m) Having a range of wall and base units with roll top preparation surfaces including a breakfast bar. Also having inset stainless steel sink and drains with mixer taps over, a built in double eye-level oven, inset 5 ring gas hob with extractor fan over and integrated fridge freezer. 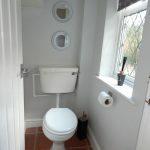 There is splashback tiling, tiled flooring, a radiator and double glazing to the side and fore windows. A window seat opens up to offer extra storage. There are also doors leading to dining room and to inner hallway. 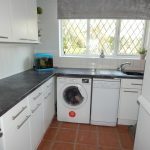 UTILITY ROOM: 9’8 x 9’0 (2.95m x 2.74m) Having wall and base units, roll top preparation surfaces, display shelving, inset sink and drainer with mixer taps over, with space and plumbing for washing machine, dishwasher and space for a fridge freezer. Also having a combi boiler, splashback tiling and double glazed window to the rear. GUEST CLOAKROOM: Having low level W.C. and a double glazed window to the side. 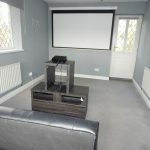 CINEMA ROOM/VERSATILE ROOM: 16’0 x 9’7 (4.88m x 2.91m) Being a versatile room currently used as a cinema room having a radiator, double glazing window to the side and fore and a double-glazed door leading to the rear. LOUNGE/DINING ROOM: 24’ x 19’4 (7.31m x 5.89m) A dining room having double glazing to the rear, radiator and an archway opening through to the lounge boasting an open fireplace and having double glazed window to the rear and fore, two radiators and coving to the ceiling. 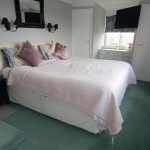 MASTER BEDROOM: 18’0 x 9’1 (5.48m x 2.76m) Having a double glazed window to the side and fore, a radiator, three built-in wardrobes, fitted drawer unit, vanity unit with wash hand basin. Also having wall lighting and coving to the ceiling. BEDROOM TWO: 12’0 x 11’0 (3.65m x 3.35m) Having a double glazed window to fore and a radiator. BEDROOM THREE: 11’6 x 10’9 (3.51m x 3.28m) Having a double glazed window to the rear and a radiator. BEDROOM FOUR: 14’6 x 7’9 (4.42m x 2.36m) Having a double glazed window to the rear and side and a radiator. 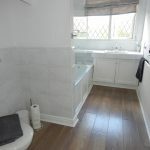 SPACIOUS FAMILY BATHROOM: Having a low level W.C. hand basin set into a vanity unit, a bath with shower over and a radiator and a double glazed window to the side. Also having a partial wall tidy, storage cupboards and down lighting. 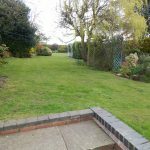 SUPERB REAR GARDEN: Having outstanding block paved patio area, ornamental wall and steps leading to a lawned area which includes areas of plants, shrubs and trees broken up by several pathways. Also having fencing and hedging around the perimeter which allow for open views across the neighbouring fields. A pathway alongside the property leads to double gates to the fore. We endeavour to make our details as accurate as possible and hold no liability for any mis-guidance which may occur. 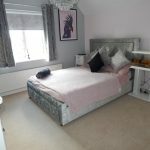 This entry was posted in 300-500k, 4 Bedroom, For Sale. Bookmark the permalink.